Born in 1983, Rawan Kakish graduated with a B.A. in Architecture and Design from the Jordan University of Science and Technology in 2006. Following her graduation, she worked as an architect with Faris and Faris and Symbiosis Designs, two prominent Jordanian architectural firms. Meanwhile, she took local art classes to cultivate and refine her artistic skills. In 2008, Rawan enrolled at the School of Visual Arts (SVA) in New York City and at New York University (NYU), where she studied drawing, sculpture, collage, printmaking and animation. 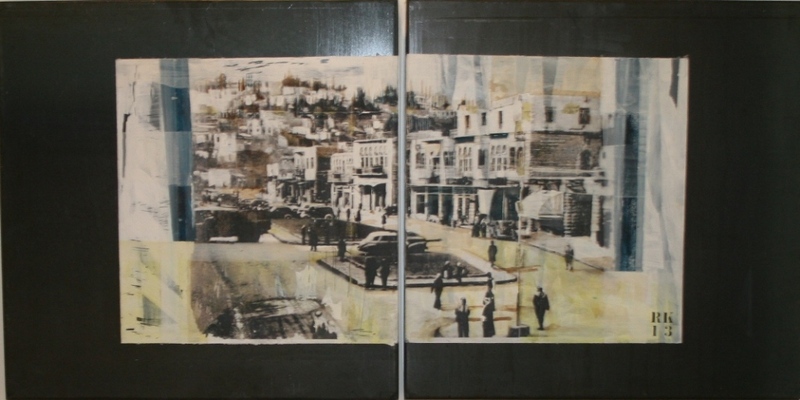 Back in Amman, Rawan held her first solo exhibition in 2011 and participated in several workshops and group shows. She currently lives and works in Kuwait.